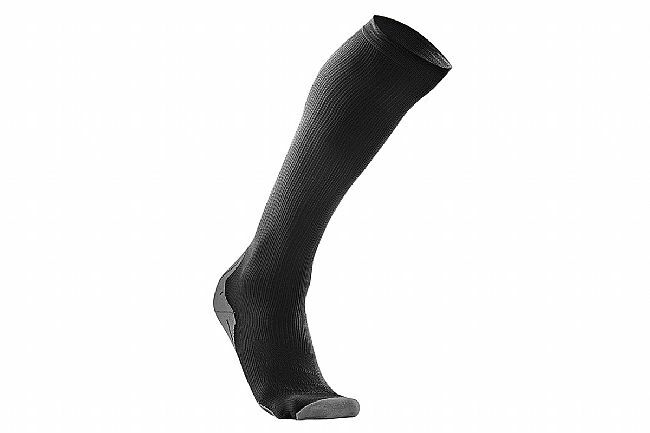 The 2XU Men's Recovery Compression Socks G2 are designed specifically for speeding up recovery. Featuring a stronger compression fabric, 2XU uses an anatomically-correct Left/Right foot bed design with a graduated fit through the rest of the sock, the Recovery Compression Socks G2 push stagnant blood and lactic acid out of the muscles of the lower leg. A seamless construction provides a chafe-free, comfortable fit, while the linked toe cage features a light padding and added ventilation for maximum breathability and comfort.